Success! Items are added to cart. Fail! Please try again later. 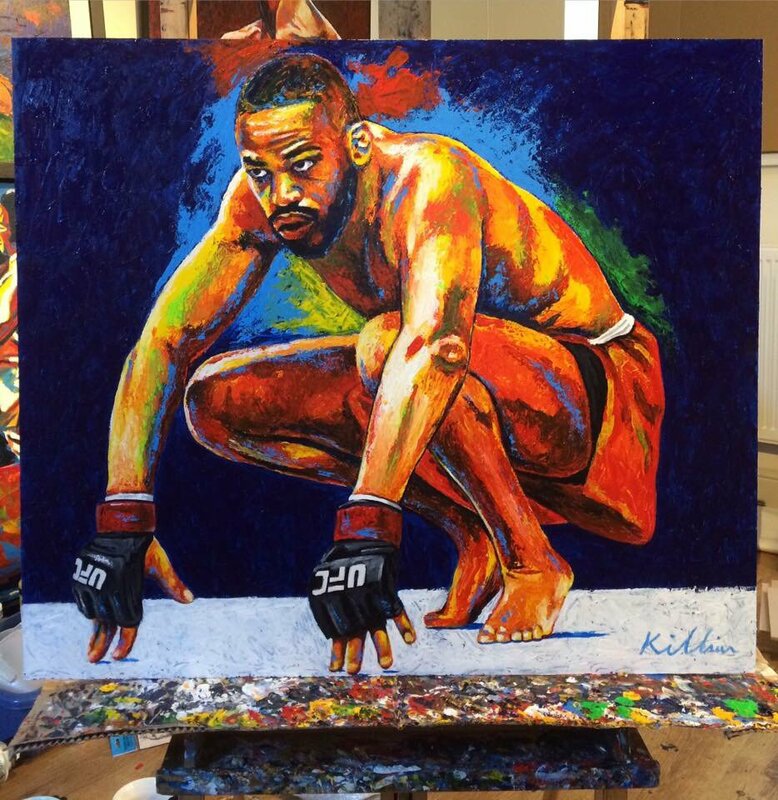 Title: "Calm before the Storm"
Size: 12" x 12" or 24" x 24"
Jonathan Dwight Jones (born July 19, 1987) is an American mixed martial arts fighter and a two-time former Light Heavyweight Champion of the Ultimate Fighting Championship (UFC), having won the title in 2011 and an interim title in 2016. He is widely regarded as one of the greatest mixed martial arts fighters of all time, was ranked number one in the world during his championship reign, and currently has the longest active winning streak in the UFC. Jones won the light heavyweight title in March 2011 at the age of 23, becoming the youngest champion in UFC history. He holds many UFC records in the light heavyweight division, including most wins, most successful and consecutive title defenses, longest win streak, and most submission victories. For a number of years, Jones was ranked as the #1 light heavyweight fighter in the world by various media outlets,and was also ranked the #1 pound-for-pound fighter in the world by multiple publications. Copyrights © 2018 Killian. All Rights Reserved.